Beautiful ceramic 'My Cat is cuter' typography mug. 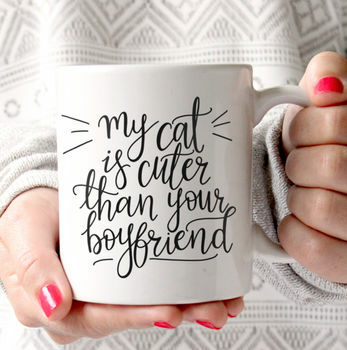 'My cat is cuter than your boyfriend' mug is perfect for all your cat loving friends and family! 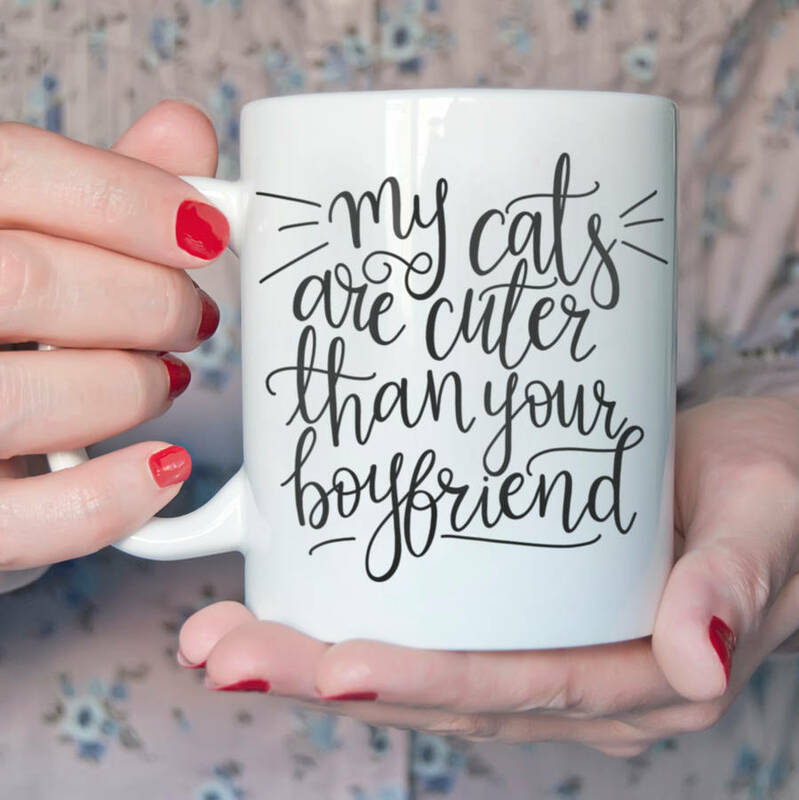 This pretty ceramic mug is lovingly hand lettered by Hope and Halcyon and is exclusive to notonthehighstreet.com! This design is also available in a matching high gloss hardboard coaster and also a cotton canvas tote bag.